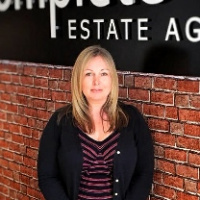 Since leaving college as a teenager, I have worked in customer service for over 25 years in a varied number of settings, most recently, joining Complete lettings as the Inspections and Inventory clerk in 2017. I am a married mum of two children so, a lot of my time is taken supporting my eldest at University and travelling to support my youngest daughter with her football, but I do enjoy time at the gym and have found a new love of yoga. Unfortunately we do not have enough data to give you an accurate valuation. Your local Complete Estate Agents property expert will be in touch to arrange an accurate valuation taking into account improvements to your property, the local market and more. Or arrange a valuation now by clicking here. Whilst this instant valuation provides a guideline, your local Complete Estate Agents property expert will be in touch to provide a more accurate valuation taking into account improvements to your property, the local market and more.